accessible by boat as well as by car. 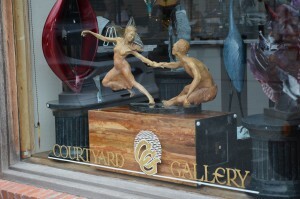 Many boaters arrive from Canada and the San Juan Islands and dock within walking distance of the gallery. With its many gift shops, galleries, restaurants, and hotels, La Conner is the place where you can go and stroll the streets, take a deep breath and enjoy the moment.